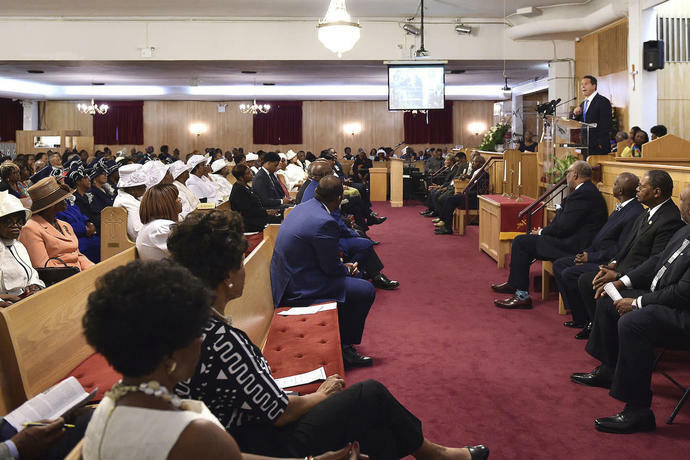 NEW YORK (AP) - In a searing speech from the pulpit of a black church, New York Gov. 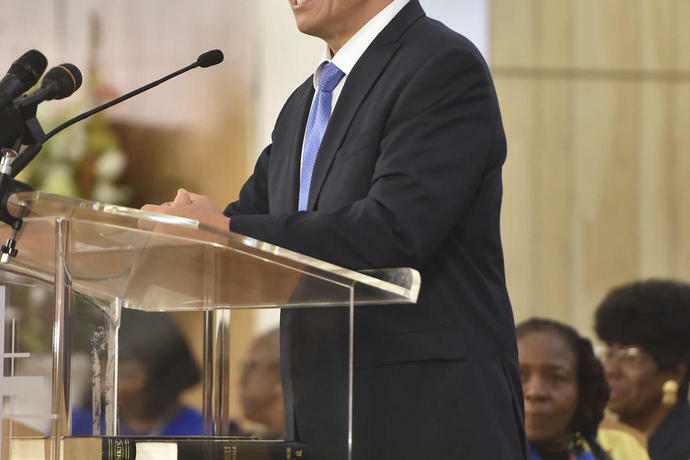 Andrew Cuomo told a Brooklyn congregation on Sunday that Donald Trump is a "slick salesman" who fooled many people in this country, but the Democrat said the Republican president hasn't fooled New Yorkers. 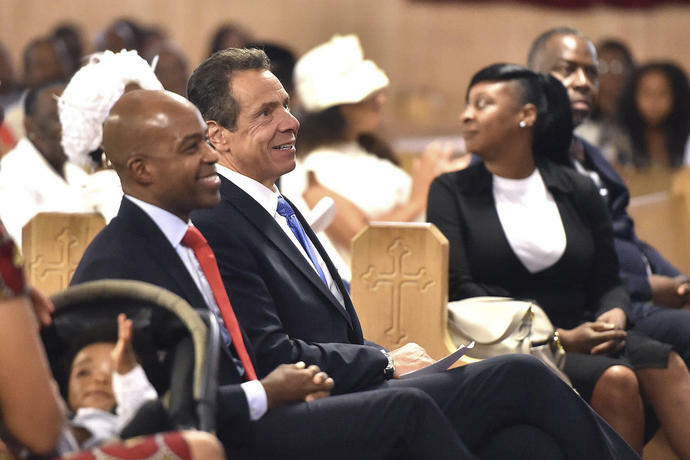 The governor seemed to counter what many observers considered a political blunder - a play on Trump's "Make America Great Again" signature line that Cuomo later acknowledged was "inartful" on his part.